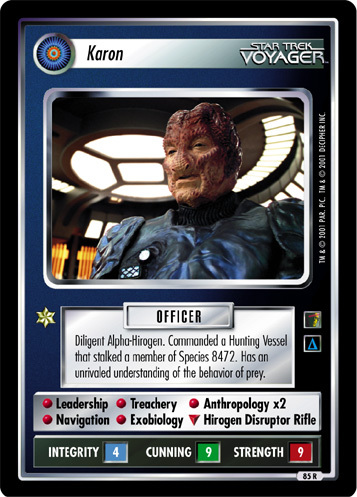 Alpha-Hirogen who captured Voyager in 2374. 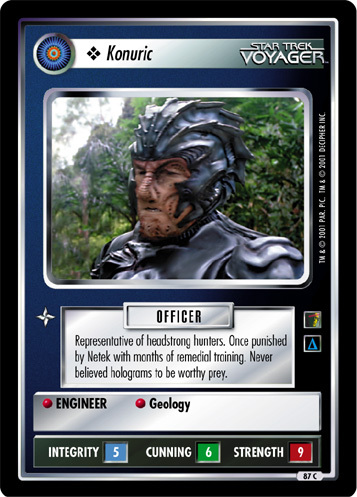 Used its holodecks to study his prey's history. Hoped for lessons to save his own culture from stagnation and extinction. 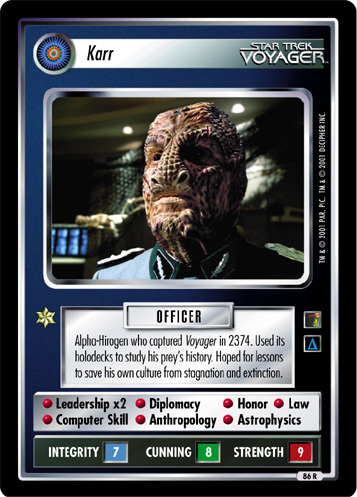 Image Source: Voyager: "The Killing Game, Part I"